The Kardashians have always been in the headlines for both good and bad reasons. Kim, Khloe, Kylie have always been under the eyes of paparazzi and tabloids. Recently the controversy which shook the media is the cosmetic surgeries of the 19-year-old Kylie Jenner. These surgery claims just took the internet by storm and broke it. The storm became severe after the social media star posted numerous sultry pictures on Instagram. The social media celebrity and snapchat queen is also a cosmetics business queen has numerous rumors regarding her surgeries. Let us see some facts regarding her surgical makeovers. The major reason for Kylie getting famous is for appearing in their family show “Keeping up with the Kardashians.” Also, the lights of Instagram, Snapchat have made her hugely popular. What Are The Rumors? Are They True? The media have wondered hugely over the growing size of Kylie’s buttocks and breasts over the years. Another talking point has been her shrinking nose and waist. The clinical director of Transform commented on this particular case that Kylie has denied in maximum occasions regarding any artificial treatments but when he sees the difference in her face and body, Kylie’s claims seems quite hard to believe. The doctor suggested that breast enhancement rumors are true, and other body sculpting procedures are true as well. Mark Norfolk, the doctor at Transform also said that, when we gain weight, in natural cases the fat doesn’t get deposited in the places of our own choice. Kylie seems to have a perfect hourglass figure, which is also the celebrity trend and pretty tough to get naturally. He said that instead of bottom implants fat transfer might be her method of treatment. Also, regarding the dramatic increase of her breasts he said that, with her slim figure at the beginning, that was quite unnatural to happen. Mark also mentioned that it was very likely that the star also had surgery in her neckline or jawline. Dr. Navid Jallali of 9 Harley Street, London, a plastic surgeon also suggested along with Dr. Mark suggested that the teen had a nose job. Kylie previously admitted to having fillers in her lips after a lot of media speculation, but fans and detractors alike suspected that the star had many more procedures than only lip fillers. The social media star dodged the topic for days and obviously, her family protected her but ultimately, she had to agree with the speculations. 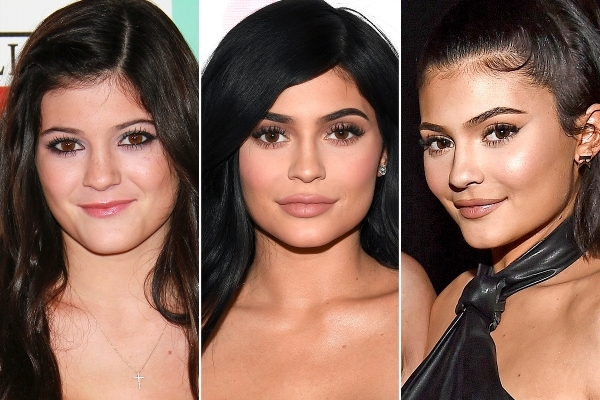 This cosmetic surgery processes are not only famous in the Kardashian or in the Jenner family only for Kylie it is mainly famous for her sister, Kim. It was under tremendous speculation and debate when Kylie’s sister Kim did the same thing by going under surgical procedures. 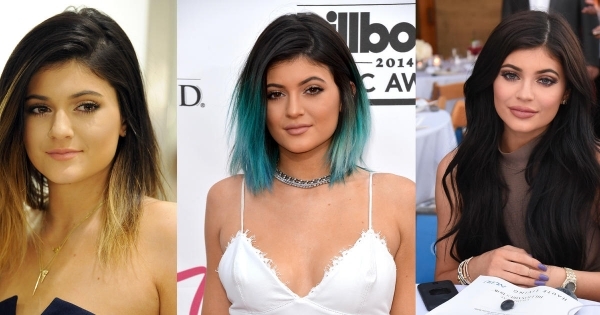 In case you missed it, Kylie Jenner admitted that she had lip fillers. She had no other option rather than admitting it because this modification was so visible and drastic as well. She went from having slim lips to perfectly symmetrical huge lips which were perfect for pouts and never missed a single opportunity for pouting. Although at first, she didn’t at all admit the fact and said that “These plastic surgery rumors hurt my feelings, to be honest, and are kinda insulting.” That is, until now. Many people are rolling their eyes after reading her confession but maximum people are quite relieved after reading that because at least she admitted that she did go under the lens and had the guts to tell the truth. The main thing here is the body which Kylie has is practically impossible to get without having surgeries, those are the perfect features as tagged by some human body experts and frankly there are completely zero possibilities to get that perfect figure naturally. One or two features will surely be missing because no human being is perfect. The reason for all the debates, arguments and speculations is this only and no matter how she tries to defend her it is practically or biologically impossible to have the figure that she has. The main thing is presenting your own self and confidence; she could have done a course on those two previously mentioned aspects rather than spending so much on surgeries. In the ‘Keeping Up With The Kardashians’ clip recently posted to E!, Jenner said that, "I have temporary lip fillers, it’s just an insecurity of mine and it’s what I wanted to do […] I want to admit to the lips, but people are so quick to judge me on everything, so I might have tiptoed around the truth, but I didn’t lie.” In the same clip, it can be seen that Kylie goes to Khloe, her big sister and she is freaked out regarding the pressing out by the media of the huge issue of cosmetic surgery. Khloe tells Kylie on the show that, ‘if you did it, owns it’. Well, quite a trick to gain the popularity back I guess. Actually, we never wanted their validation regarding what they did to their bodies, we all knew pretty well what was up, and everything was media hype and nothing else which earned them popularity. Seeing this huge hype regarding Kylie’s lip job, a bunch of teenagers underwent the #kyliejennerlipchallenge recently, sucking bottles and glasses to their lips to make them swell. At least, these kids will now know that they probably need a lot of money and help from professionals in order to get lips like Kylie. After all this drama, one thing became clear as daylight that nobody is perfect, not even the celebs. Kylie was able to do this due to her mesmerizing with wealth and privilege and she is not at all alone in her quest for perfection. According to the American Society of Plastic Surgeons (ASPS), about 63,623 cosmetic surgical procedures are performed on people in between the age groups of 13-19, among which about 155,941 surgeries are minimally-invasive procedures. But, teenagers must not get encouraged by all these artificial and tremendously expensive procedures learn to love your imperfections kids!